The history of most early religions formulated a dualistic split between spirit and body. This split put us above the Animal Kingdom. It made us superior to other creatures in Nature. This superiority of humans led to an anthropocentric view of humans. This dualistic split lead to the natural bodily instincts of humans as being inferior. This horrendous vilification, desecration, denigration, and contamination stance against human nature is due to a religious fear of human instincts. This anathematic fear led to the demonization and dehumanization of us as being sinners. For some virulent inflammatory religions there is the ugliness, cruelty, and abomination of the Doctrine of Original Sin ---> humans are corrupted by sin at birth. Isn’t there something unthinkable, repugnant, and drastically wrong to sanctimoniously preach babies are born sinful? 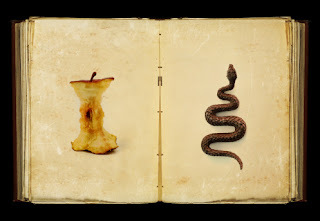 Please, for one minute think about this ----> original sin is based on Adam and Eve disobeying God and eating an apple. And, now the 108,000,000,000 people who have ever lived are born with original sin ----> incomprehensible. The number is based on a 2017 population estimate by the Population Reference Bureau (PRB). Many religions are dismissive towards science, learning, and women's rights. They employ obscurantism in their opposition to any intellectual advancement that remotely interferes with their beliefs. Fearful religions create troublesome inconvenient unpalatable truths that contradict scientific established facts (eg. Creationism in place of Darwinism). Invective religions antipathetic indoctrination infringement against Nature has sadly done a lot to throw humans off balance ---> often permanently.